Metallic Nails for the #31DC2016Weekly - Polish Etc. 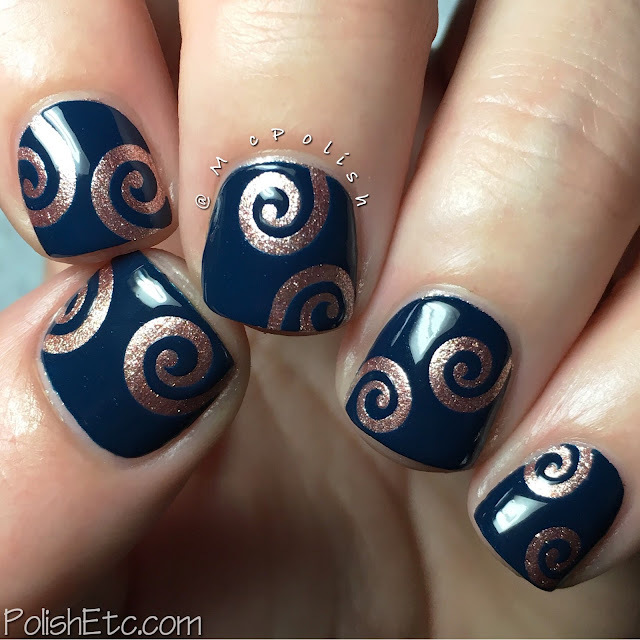 Happy Saturday, time for the next prompt in the weekly version of the 31 Day Nail Art Challenge. This week, the theme is metallic nails. My most favorite metallic trend lately has been rose gold. It's feminine and chic and I dig it. I recently saw the Sinful Shine King Kylie display at Walmart and had to get this pretty little metallic polish, "Kreme De La Kreme", and had to get it. It is a deeper rose gold color that leans a little more on the copper side than on the gold side. I used this color as the base of my mani. 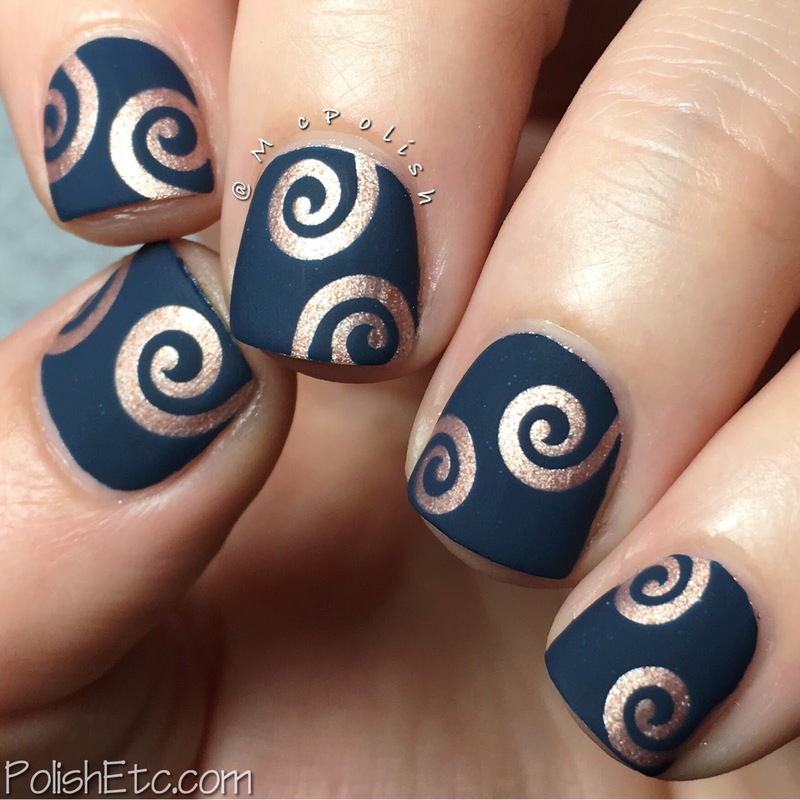 Next, I placed swirly nail vinyls from Whats Up Nails randomly on the edges of the nails. I covered it with a thick coat of P2 Cosmetics "Winding Fjord" and pulled off the vinyls while it was still wet. This is a beautiful deep teal creme from the Brave and Beautiful Collection. I topped it all off with a glossy top coat. I just had to see what this looked like with a matte top coat, too. 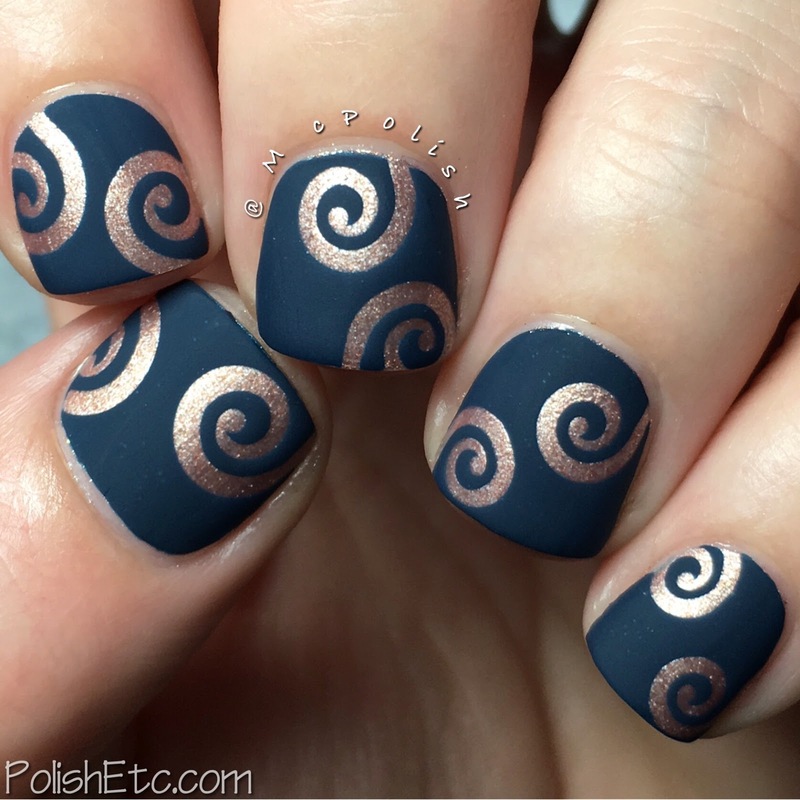 I just love a matte mani! I really liked it both ways, glossy and matte. Which do you like better? I really, really liked how this came out. And these vinyls were way fun. 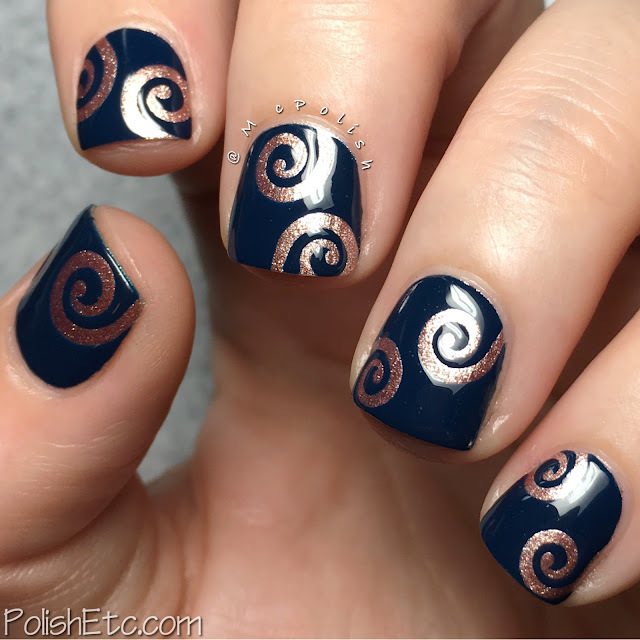 I haven't used these swirly patterns before. Whats Up Nails has a ton of different designs to choose from so they will have something for everyone. Also, be sure to check out the #31DC2016Weekly tag on your favorite social media platform: Instagram, Twitter and Facebook. I am loving seeing everyone's nail art each week! I was so happy with how this came out. And I wan't even doing this for the challenge! I was just playing around and knew I had to post it when I saw how cool it looked. The matte version looks like velvet. :-)I like this! Ah this is so cool. Love the matte finish!